This beautiful collection of romantic flowers and foliage’s say I Love You perfectly. 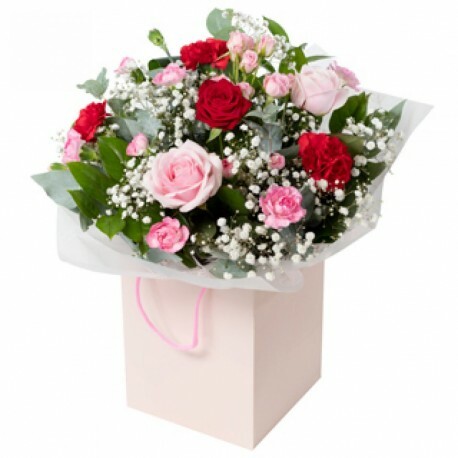 This hand made hand tied bouquet has it’s own reservoir of water, ensuring the blooms are kept fresh and hydrated. Internally tied this bouquet will hold its shape even after placed in to your vase at home.